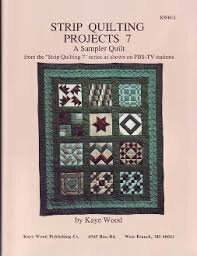 40 pages 12 different blocks each with several variations, including Kaye's Morning Glory Trellis Quilt. Directions include simplifying half-squares and quarter-squares by using bias tube strips. Techniques include fabric preparation, working with the design of the fabric, accuracy in measuring, cutting, sewing and pressing as well as matching seamlines. Finishing tips include sashing, borders, marking, batting, layering and basting, machine quilting, bindings and finishing. Uses the Starmaker® 8 Master Template (sold separately).